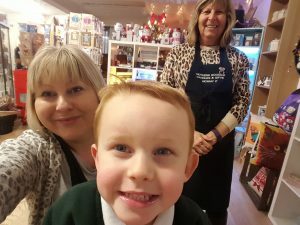 Mothers Goodies is a small family run business based in Bridgnorth Shropshire. 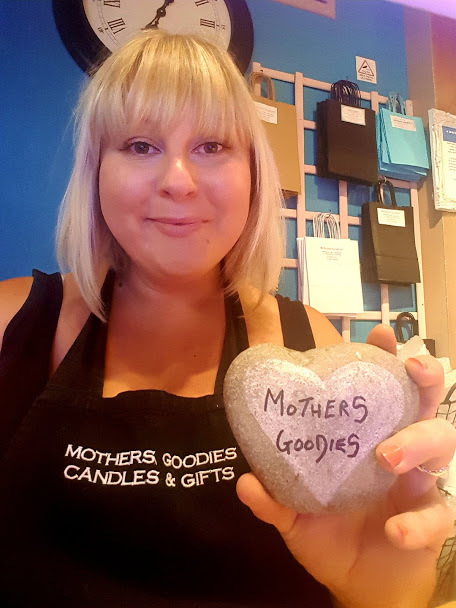 Behind the name “Mothers Goodies” is me, Dawn Jones. I am the founder and creator of Mothers Goodies Bridgnorth. While on maternity leave almost seven years ago I fell in love with making scented candles Soy candles. At first, I was making candles from paraffin, that was until I discovered Soy Wax and the benefits. I was making them purely for my own use & the occasional gift, but it soon turned into something more. Previously to getting pregnant, I had worked full time in dentistry for over 15 years. I started work at my local practice aged 16 before branching out into cosmetic dentistry and reconstructive dentistry. I had always enjoyed hobbies in my spare time, I definitely had a crafty streak but had never considered leaving dentistry or that my much-loved hobby could become my job. So, once my son arrived I soon lost the desire for the daily commute & rat race 6 days a week. I still wanted to work, but not full time. Like any parent, I wanted to spend more time with my family & our newly born son. In September 2012 I made the nerve-racking decision to attend my very first craft fair as a stall holder. I needed a name for the stall. “Mothers Goodies” was born. The craft fair went brilliantly, as did the next and the next. I continued to attend craft fairs up until 2014 & I was also renting shelf spaces in local craft shops around Shropshire to widen my audience. In April 2015 I was ready to take Mothers Goodies one step further. We rented our first retail space within another shop in Bridgnorth. This was home for Mothers Goodies until October 2017 when we relocated to new premises all of our own. Mothers Goodies is now located at 1a Waterloo Terrace/Castle Terrace, Bridgnorth, wv16 4eg, where we hope to stay for many more years. Mothers Goodies isn’t all about me. We have some amazing staff members- Emma, Teagan & Pauline, they all help me make Mothers Goodies what it is today. Of course, we couldn’t forget our amazing customers. Without you Mothers, Goodies would be NOTHING. In 2016 Mothers Goodies started running bath bomb and candle making classes. I really enjoy these and I feel excited that I am able to teach my customers a little of what I know. Now 7 years on I have my own shop & a beautiful family. I feel very lucky to have had the opportunity to make what was a hobby into a successful new career. I am still enjoying making candles, bath bombs, soap & natural handmade products. I enjoy creating new products, experimenting with fragrance blends & essential oils. My only regret is that I didn’t do this sooner. NON OF OUR PRODUCTS CONTAIN INGREDIENTS TESTED ON ANIMALS. LOCAL INGREDIENTS ARE A MUST!